The fee has been introduced this year in order to insure that those aquiring tickets are more likely attend the event (with some last year claiming tickets they had no itention to use). Included in the ticket price are two complimentary drinks along with food at the event itself, saving you from having to bring money along for consumables. Already confirmed for the event is a performance from Crush 40, accompanied by Alex and Jean-Paul Makhlouf of Cash Cash…that alone should make it worth it for the ticket price! It is also confirmed that you do not need a SDCC pass to attend the event. More details on the event, taking place on Friday the 13th of July, 2012 (5:00 PM – 10:00 PM) at the House of Blues in San Diego, are available on the SEGA Blog. Next Post > Next post: #105 Will Mighty be Forever Alone? Does this mean Crush 40 won’t be at the summer of sonic this year. Or are they going to be at both conventions this year. I know jun senoue attended SOS last year and I really hope that both of them can be there this year. Ready for more Alex singing City Escape? Im gonna be at Comic-con I will find a way to get in if I cant get a ticket, I will not miss this lol. Just be quick off the mark on Monday when the tickets go on sale! I hope Cash Cash doesn’t last much longer in Sonic’s history. I just don’t like their music. I mean, their remixes for Sonic Generations were good, but not every game will have a nice remix for them to do. I cant stand their original music, especially what they did for Sonic Colors. COME ON! it was free last year. why pay for this year? Last year’s Sonic Boom was amazing. I’m totally looking forward to being there again this year! Then again, there were too many people to even consider recognizing someone. I do remember talking to quite a few people there though, so if you be a bit more descriptive or show some pics or something, then I could probably remember you. 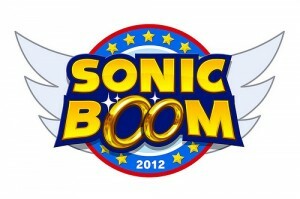 I hope Crush40 can come to SoS2012 this year, please! We missed them last year, and SoS started it all! If its an issue of money, take mine! Ill pay for their flights myself. Send cheques to Dread’s Swiss bank account. Im being serious, surely everyone could see that Julien K was no match for Jun alone, let alone Crush40 from the previous year. No disrespect meant to them, naturally, but we need Crush40! YES! Now I just gotta convince my mom to take me and my girlfriend there! How many people ordered tickets that they knew they were’nt going to use? I guess they were trying to make a quick buck off of them, but I’m glad SEGA thought ahead and are trying to make sure the same thing doesn’t happen again. More seriously, grats to the US-based folks who’ll be going to this, sounds like it’ll be a blast. I eagerly await news of what SoS2012 will bring – we’ve been promised the best yet, I have no doubt SEGA and the SoS crew will deliver in spades. Hope summer of sonic remains free. Oh boy… I sense Monday is gonna be a very bust day in the US. Man I wish Sonic Boom was free like last year, but I understand what happened. So yeah, this makes sense and it’s a good way to keep things under control. Pretty tight on money this year, don’t think I’ll go to Summer of Sonic if the tickets cost.